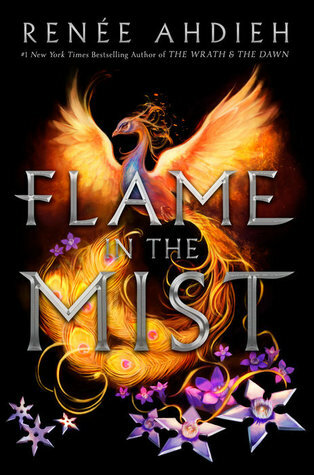 Flame in the Mist is written by Renee Ahdieh and narrated by Nancy Wu and is the first book in the series of the same name. 1. I really enjoyed pretty much everything about this book. From the setting, inspired by feudal Japan, to the characters, and the narrator. Wu captures the tone of this book so beautifully in her narration. Ahdieh proves, like in her The Wrath and the Dawn series, that she is a master at the hate to love trope. 2. I have to admit, as much as I loved Mariko, sometimes she really lacked in her common sense. She is very smart in the way things work, but is a little clueless in how humans work. Sometimes it is painful to watch her miss what seems so obvious, and for me, that makes her feel more real. She has great strengths, but also some glaring flaws. 3. One of the things I really loved about this book, it was a society where men were the obvious power players, but the women really seemed to control the power from behind closed doors. I, also, very much enjoyed the magical elements to the story. I look forward to learning more about them in the next book. 4. I want to take a minute to talk about Okami. The mysterious member of the Black Clan, and Mariko's love interest. He has so many layers to him, and even at the end of the book, Ahdieh has not reveled all there is to know about it. I loved seeing his confusion over his attraction to Mariko before discovering what she is, and their banter was always entertaining. 5. As for the ending, Ahdieh throws out multiple twist and turns at the end, along with some enlightening reveals. I cannot wait to see where the next book goes.